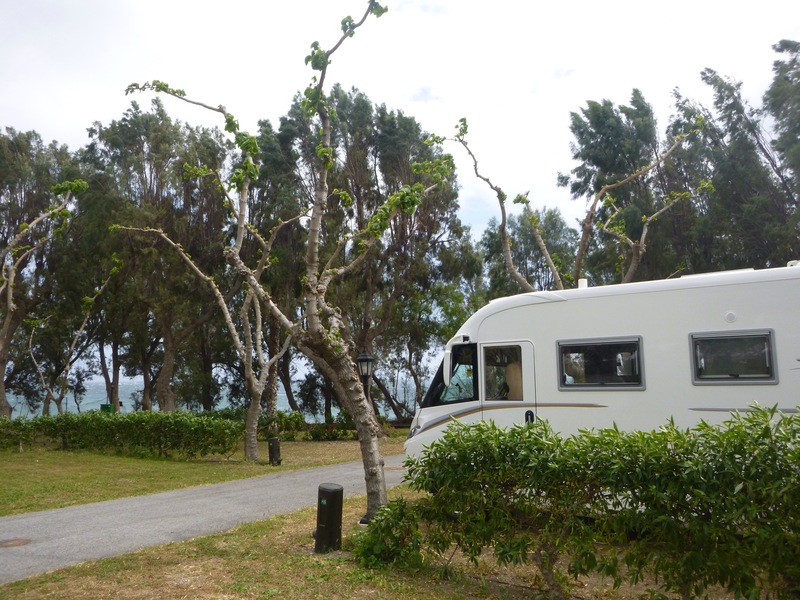 We had been very comfortable staying at Los Madriles, Isla Plana but it was time to move on – this time just a few hours’ driving down the coast, past Águilas, Vera, Níjar, Almería and on to the small town of La Mamola and the Campsite of Castillo de Baños. 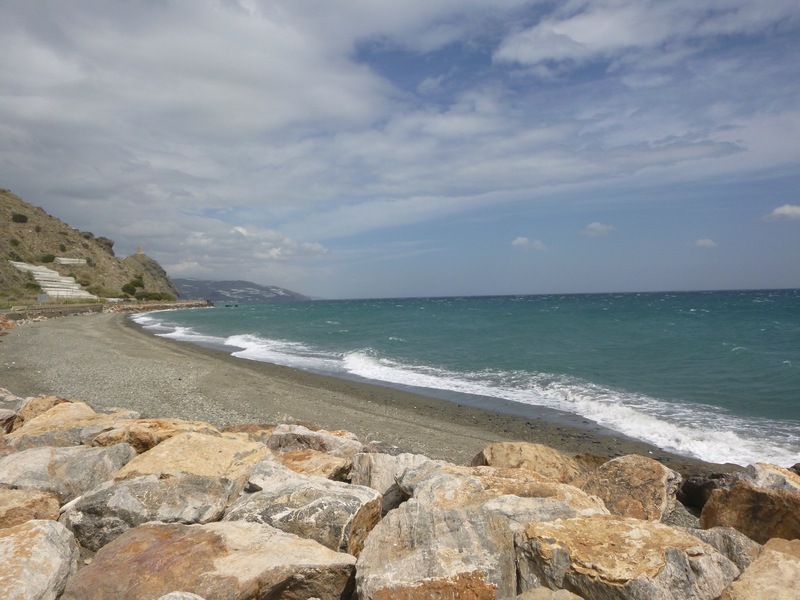 The site was perched above the beach and, although the weather was warm, 23.5°, it was very, very windy and we could hear the sea above the noise of the wind crashing onto the beach. We found a pitch some metres away from the seashore but where we could still watch the white horses blowing across the bay. On our drive south we passed through arid and dusty hills, with little growing but scrubland. 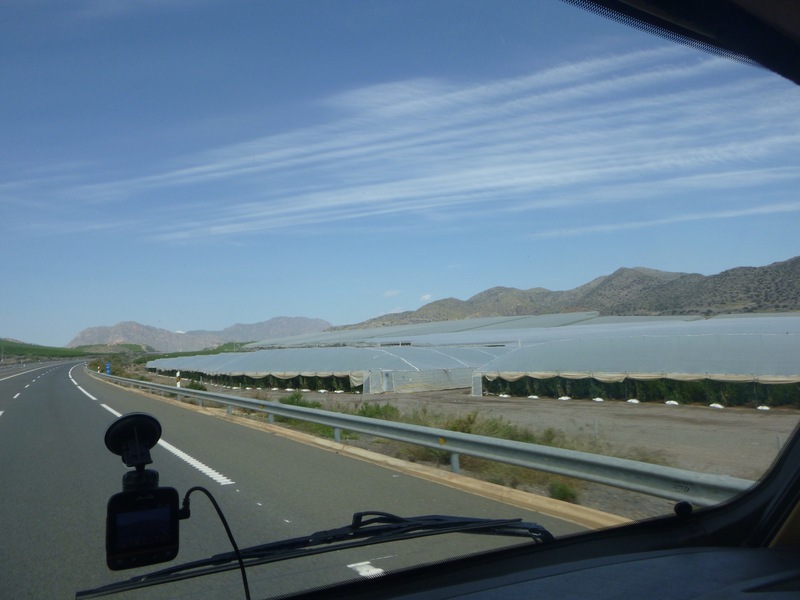 In the valleys there were orange and olive groves but as the road passed closer to the coast more and more land was covered in poly tunnels. It was difficult to tell what was growing, certainly we spotted tomato plants with their fruit bright red, ready for harvesting. Acres and acres of plastic stretched as far as the eye could see, looking just like vast areas of water shimmering in the distance. Sometimes it was hard to tell where plastic finished and the sea began. Close up it was not a pretty sight but it would have brought much needed employment and income to the area. 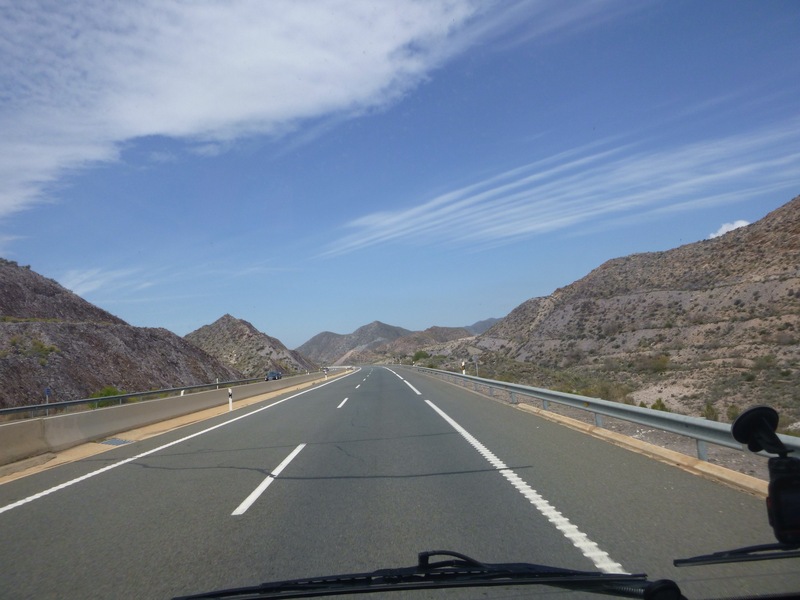 The best part of our journey was when we made a detour to Bédar, a small village up in the hills about 15k from the coastal town of Mojácar. My brother, Warren and his family were due to have a holiday there the following month so we left the motorway at Los Gallardos and drove 6k up a winding road into the hills. The next post is really just for Warren’s information.